Even Spokane Education Association President Jenny Rose has been surprised by the union's votes this year. Spokane Education Association President Jenny Rose has been wrong about her members twice in the past year. The first time was this spring, when her members staged a one-day walkout to protest over-testing and underfunding of Washington state schools. "I seriously didn't think they were going to vote to walk out. I really didn't." Rose says. "But that whole time, of course, I'm not going to say that." The second was just a few weeks ago. "I really didn't think they would vote to strike," Rose says. But this year they did, voting to strike on Sept. 4 if a deal wasn't reached. There hadn't been a strike in the district since 1979. Strikes hit Seattle and Pasco, while in Spokane, the threatened strike was narrowly averted: A one-year tentative agreement — which included salary raises ranging from 7 percent to 9.5 percent — bought the district a few months of breathing room. But when January hits, it's back to the bargaining table, with the goal of finding a longer-term agreement. This time, nothing can be taken for granted. Economics, court decisions and new state and local union strategies have converged to form a new, more confrontational landscape. "I'm seeing and hearing that they want this to be the new way of doing business," Superintendent Shelley Redinger says. "I just don't think that is good for a community... If that is the new landscape, then we're going to come up with new strategies." For years, Spokane Public Schools had weathered budget cut after budget cut, lopping off teaching positions, custodians, electives and elementary school sports programs. "People recognized the district didn't have money," Rose says. So it wasn't the lean times that resulted in strike threats. It was when the lean times stopped. In January 2012, the Washington State Supreme Court issued its famous McCleary ruling, finding that the legislature was shirking the state's "paramount duty" and seriously underfunding basic education. It had two important effects: First, the McCleary case provided proof that education was getting short shrift, adding extra oomph to union talking points. Second, it forced the legislature, finally recovering from recession, to pour far more money into basic education. This year's $1.3 billion increase to education — boosting salaries and lowering early-grade class sizes — was one of the largest increases in state history. It let unions across the state argue, rightly or wrongly, that districts had the money to augment salaries from the state, while still allowing them to attack the legislature for underfunding. The state continues to fall short, the state Supreme Court ruled, and it began fining the legislature as a result. "Ten years ago, I don't think many of our staff could tell you who was on the school board," Rose says. But in today's social-media-saturated age, that's changed. Online, teachers find solidarity in commiseration over issues like salaries, Common Core standards and high-stakes testing. All the big district, state and national mandates make it impossible not to be engaged. The educators, Rose says, "have really started to educate themselves." This spring, as teachers on the west side of the state voted to stage one-day walkouts to protest the legislature, teachers in Spokane followed closely. The rank-and-file drove the conversation. "They started coming and asking, 'Are we going to do that?'" Rose says. "And I'm like, 'Hmmm, OK. Now this is getting really serious here.' So let's see what our members think about this." "There's a conventional wisdom that people on the east side of the state, the more conservative side of the state, won't strike," says Washington Education Association spokeswoman Linda Mullen. That's no longer true. One possible factor: Two years ago, the WEA hired a former Central Valley School District teacher named Scott Knowles as the new full-time state organizer in Spokane Public Schools. His entire job was to meet one-on-one with staff members at every school, develop relationships with them and hear their concerns. "Although the topics I heard ranged from school reform, evaluation and testing to health care, cost of living and class size, there was a very common theme that surfaced nearly each and every time: dedication," Knowles wrote in a union newsletter last year, having met with more than 500 members. Through those meetings, Rose says, Knowles identified who was the most respected and admired and recruited them as organizers. Long before bargaining talks began, the ground had been tilled, seeds had been planted and a new crop of organizers had sprouted up. With the walkout, the local union got another big gun: Eddie Westerman, a WEA communications guru from Seattle. Since April, she's been blogging, posting union member profiles, political endorsements and rapid responses to district arguments. "Poppycock!" Westerman wrote in bold after one district claim. "Baloney!" she responded to another. The day-to-day relationship between the district and the local union is still a positive one, both sides say. But statewide, Redinger critiques the WEA for a mentality of "let's see how far we can push this and see what happens." This year, the bargaining strategy itself changed. 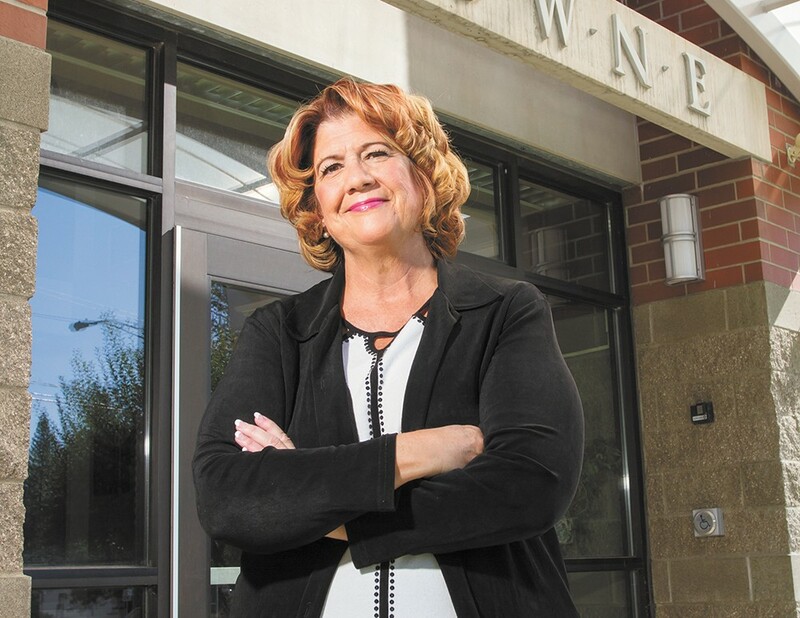 For two decades, Spokane Public Schools' Chief Financial Officer Linda McDermott says, the district and union used "interest-based bargaining," which focuses first on discussing general priorities and then on finding common ground. But after the previous round of bargaining in 2012, Rose says, the local union concluded that the strategy took too long and produced too little. This round, the Spokane Education Association shifted to a more traditional bargaining tactic: Come in with opening offers, and negotiate from there. A retired WEA negotiator joined the bargaining team, adding heft and experience. Both union and district agreed on a few things. Several poorly compensated professions — including nutrition services workers, custodians and instructional aides — needed bigger raises. But there was a big sticking point: The district wanted to give some entry-level employees — who a district-commissioned study concluded were particularly underpaid — a bigger bump than comparatively overpaid experienced employees. The union didn't buy that reasoning, and resisted. On that point, the district eventually buckled. Washington state law doesn't outline a right to strike for teachers, and many Superior Court judges — including this month in Pasco — have ruled teacher strikes illegal. But without precedence from higher courts, local unions have been undeterred. And for good reason: It's worked. "It got our school board to move. Our school board moved. They moved rather quickly," Rose says. "Striking is a tactic. It's a strategy." Local district officials take serious offense to that sort of thinking. "I'm still deeply saddened that a strike is used as a tactic to scare communities," Redinger says. For many, Redinger says schools have become the source of crucial services like child care, meals and mental health counseling — a lifeline that can suddenly be cut by a sudden strike. "These are families in trauma, often," she says. "And this is adding more instability and trauma." During the next rounds of negotiations, the district will still seek to fix inequities between new and experienced employees. The union, meanwhile, will continue to push higher salaries, especially for instructional assistants, secretaries and nutrition services workers. Crucially, neither side wants it to come down to a strike. "That's not on our minds," Rose says. But there's no question that the possibility lingers now in a way it hasn't before. Rose wants to remain, as she was during walkout discussions, driven by her members. It's their number, she says, that gives the union its strength.